I know you. You need an excuse to party. How about this? 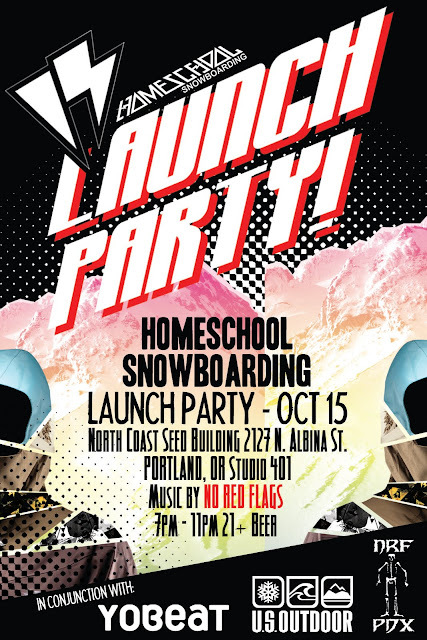 Portland is home to a new outerwear label called Homeschool Snowboarding. Their product launches this season. What better way to celebrate than a launch party. What does that mean? Beer, music, product viewing, mingling with Portland heads. Don't make this Saturday like last Saturday, when you ate ice cream, watched a couple TiVo-ed sitcoms, scratched yourself and went to bed early, worn out from the beating at the hands of the man for the previous five days. It doesn't have to be like that. Homeschool can help.